William Blake, "The Lamb," copy AA. 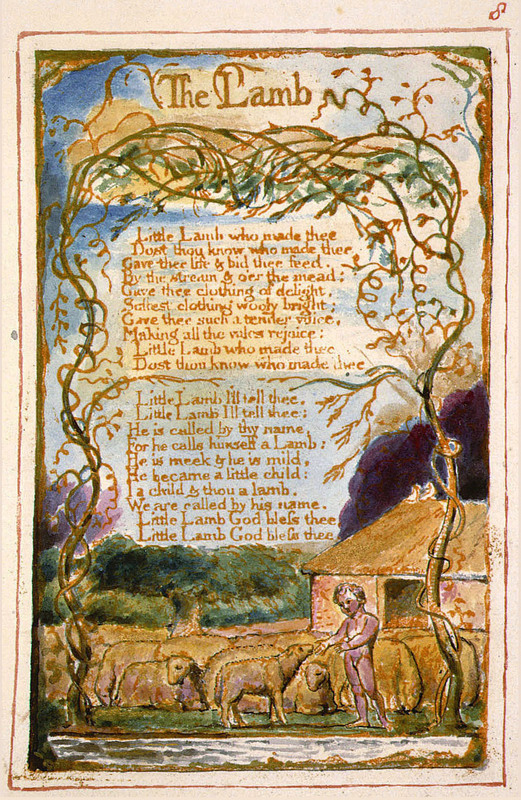 This page displays Michael Phillips’s reproduction of the poem “The Lamb” from William Blake’s best known collection of poems, Songs of Innocence and of Experience. Follow the link to read about the Songs as a collection. Phillips’s reproduction was displayed in the Blake in the Heartland exhibit at Tiffin University, which ran March-April 2015. 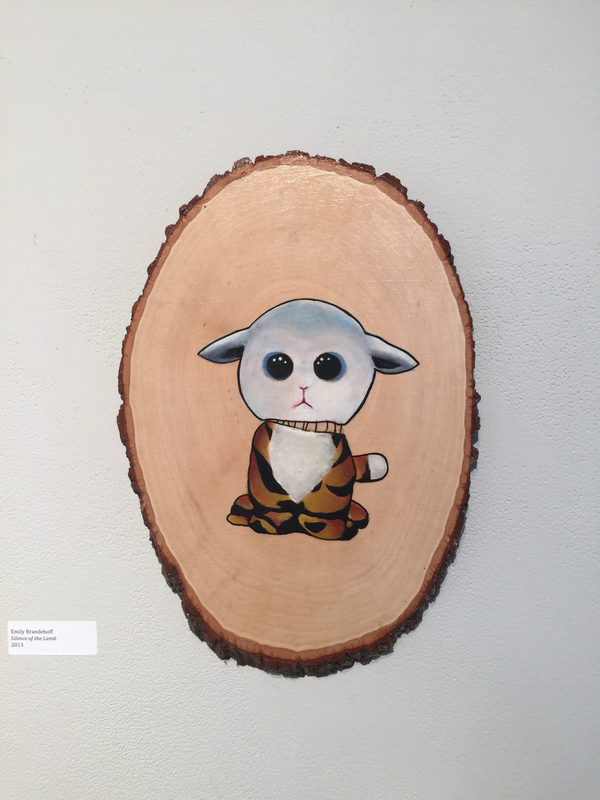 Blake’s original is followed by Emily Brandehoff’s response painting, Silence of the Lamb, which complicates the dichotomy presented by Blake with the slightly macabre feeling and texture of the Lamb itself in addition to the fact that the lamb has a tiger’s legs and rear quarters. The title itself puns on the horror film Silence of the Lambs. Can innocence ever be fully separated from experience? Or is it that the experienced viewers of both Blake’s and Brandehoff’s art see both innocence and experience even in Blake’s most innocent poems? We might also notice that this painting is on a cross-section of a tree, so that a living thing was killed to create art, reminiscent of the broken reeds of Blake’s “Introduction” to the Songs of Innocence. William Blake, “The Lamb,” copy AA. Emily Brandehoff’s Silence of the Lamb.